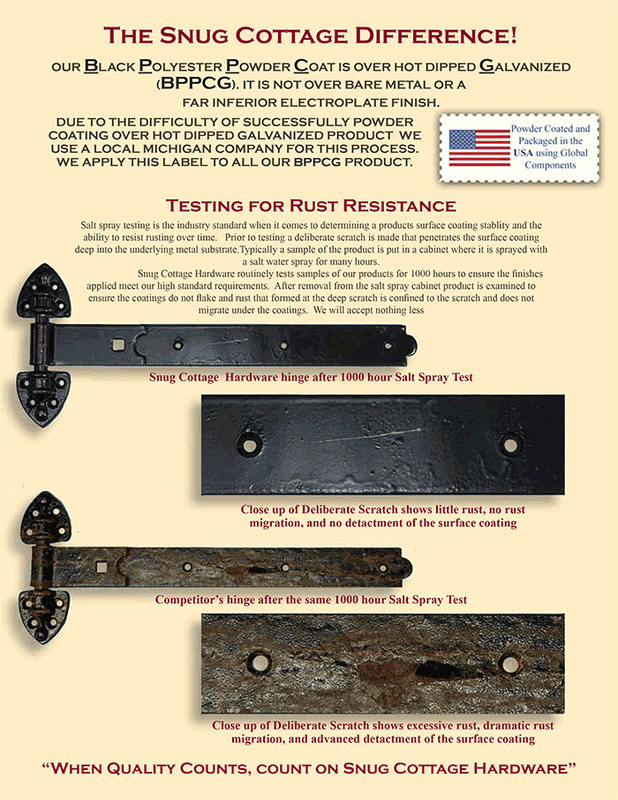 Snug Cottage Hardware Old Fashioned Heavy Duty Hinges for Wood Gates, Pair | Hoover Fence Co.
Old Fashioned Heavy Duty Hinges offer a traditional design, combined with exceptional strength. 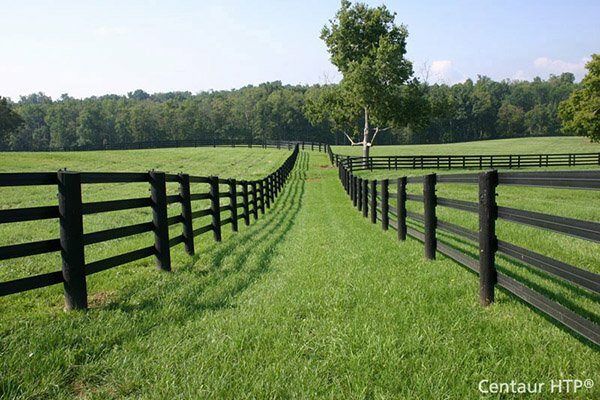 Ideal for Gates, Barns, Garages, Garden Sheds, and Carriage Houses. This item is also available in a Stainless Steel (#8292-SS) and Curved (#8292-C) version. What Size Hinge to Use? The rule of thumb for determining the size to use is the Hinge Strap should be about one quarter to one third the width of the gate or door. If the gate or door is over six feet high then a third hinge should be utilized (one hinge for every three feet of height). Please Note: Hinges require that a Carriage Bolt (preferred) or Lag Bolt be utilized on each hinge as shown Here. These are not included with the Hinge pairs because the length of bolt required will vary with the installation. Hinge sizes 7-16" require 3/8" diameter bolts and 18-36" require 1/2" diameter bolts. You will need bolts 1" longer than the overall thickness of your gate or door. 8292-07SP 7" 1/2" Black 5.0 lbs. 8292-072 7" 1/2" Galvanized 5.0 lbs. 8292-12SP 12" 1/2" Black 6.0 lbs. 8292-122 12" 1/2" Galvanized 6.0 lbs. 8292-14SP 14" 1/2" Black 6.0 lbs. 8292-142 14" 1/2" Galvanized 6.0 lbs. 8292-16SP 16" 1/2" Black 6.0 lbs. 8292-162 16" 1/2" Galvanized 6.0 lbs. 8292-18SP 18" 5/8" Black 9.0 lbs. 8292-182 18" 5/8" Galvanized 9.0 lbs. 8292-20SP 20" 5/8" Black 10.0 lbs. 8292-202 20" 5/8" Galvanized 10.0 lbs. 8292-24SP 24" 5/8" Black 12.0 lbs. 8292-242 24" 5/8" Galvanized 12.0 lbs. 8292-30SP 30" 3/4" Black 15.0 lbs. 8292-302 30" 3/4" Galvanized 15.0 lbs. 8292-36SP 36" 3/4" Black 18.0 lbs. 8292-362 36" 3/4" Galvanized 18.0 lbs.